The Town Council is trying to trace descendants/ relatives of Thomas Tallentire. Early in WW1, Tom joined the 15th. Battalion DLI, and then was attached to the I.B.D – Infantry Base Depot as a yellow arm-banded instructor (canary) at Etaples. Tom put the new drafts through their paces. He was then sent back into the line with the 14th. Battalion DLI and won the Military Medal for Bravery in the Field at Cambrai in November 1917. Promoted to Corporal and section commander he was killed-in-action on the flank command with his company from the 19th. Battalion DLI (Bantams) during the German Spring offensive in March 1918. There were two Thomas Tallentires who died in 1918 ! Paul, I believe that your great grandfather died in the Burnopfield area. The Thomas Tallentire who was killed on the Somme was born in 1889 and married Alice Pattison in 1912. I believe that his direct descendants all live in the Midlands, although he does have more distant relatives in the Stanley area. I have done a lot of research into the men of Stanley area who died as a direct result of the Great War. 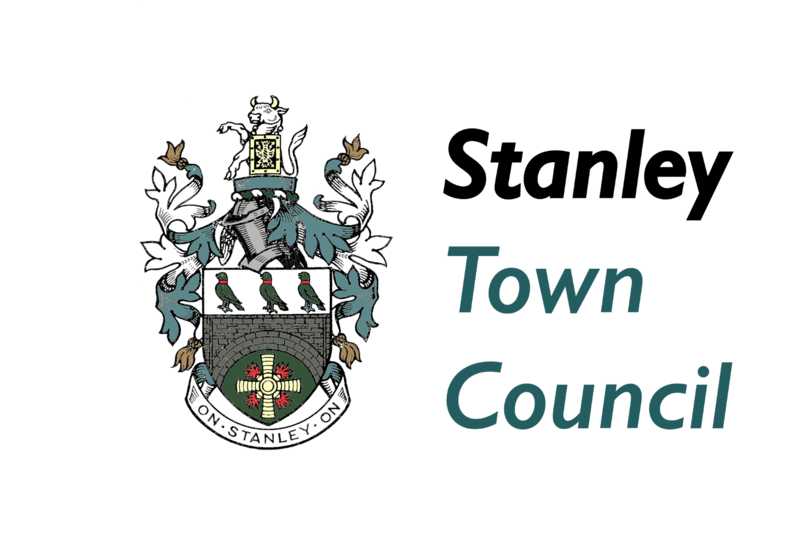 Why is Stanley Town Council so interested in Thomas TALLENTIRE? Enlisted in Newcastle Upon Tyne. Killed in action in France & Flanders on 29-Mar-1918, aged 28. Born in Burnopfield. Husband of Alice COXON (formerly TALLENTIRE) of 84, Newburn Road, Shield Row, Stanley. Listed on Pozieres Memorial, France. Ref: Panel 68 to 72. Corporal TALLENTIRE was awarded the Military Medal (MM.) for bravery in the field. Alice TALLENTIRE (the widow of Thomas), aged 29, daughter of Calley PATTISON, married Benjamin COXON (a widower), aged 28, son of William COXON, in Collierley St. Thomas Parish Church on 25-Feb-1922. Thanks BW – you’ve got lots of information about Thomas. We do have a specific reason for trying to track down relatives and pictures of Thomas…but the beyond that the reason is to remember and relate to the men and families who died and whose lives were changed by the war as real people who lived in this place. Thomas would have looked at the same hills we see every day before he went to France.